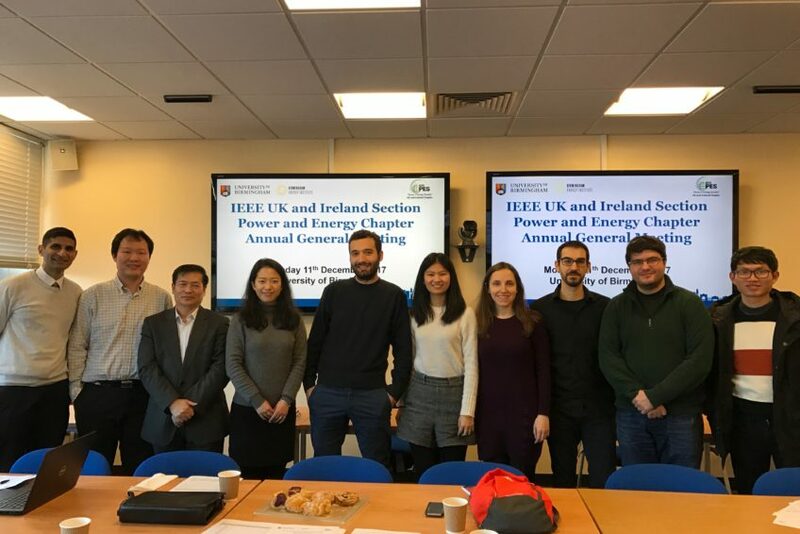 The Annual General Meeting of the IEEE UK & Ireland Section’s PES Chapter took place on 11th of December at University of Birmingham. The event was hosted by the Chapter’s advisor, Prof. Xiao-Ping Zhang. During the meeting, the budget bid was discussed and compared with this year’s achievements. The Chapter managed to keep its financial footprint low, while maximizing results, as also acknowledged by the High Performance Chapter Award received from IEEE PES. Strategies for new student branches, e.g. the IEEE Student Branch at University of Stratchlyde founded this year, were defined and funds were allocated within 2018 budget for membership development activities, like student presentation competitions. Several ambitious projects for senior membership, like the IEEE PES Fellow Event, were also pencilled in. The meeting ended with elections for next year’s roster, with most of the officers willing to volunteer for another year. Above all, the annual general meeting was a great chance for team building, where chapter volunteers could establish the foundation for even better collaboration within the next year.